18 years ago, I started this site with at the public library with Tripod’s free site builder, screenshots from the PC version of Sega’s Smash Pack (made on a friend’s computer, didn’t even have my own PC yet), and a bunch of tips and tricks I’d scrawled in a notebook. Seemed like it’d be a fun thing to do on the internet. Multiple hosting moves and weird ideas later. The theme of today’s update is… every theme, including the lack of a theme. 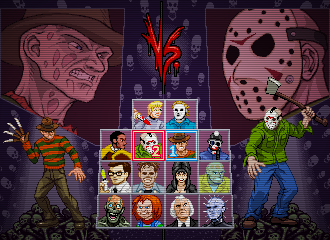 Characters from games, a few from comics, some 1989 icons (to rep the Revenge of 1989), an obvious crossover face-off (outside of Crossup Beatdown), a horror villain (before October’s DangerTerrorHorrorThon), an eighties cartoon character (before the usual Toy and Cartoon update near Christmas), a new original character for the site and the return of a character born in the long defunct Minus World section. It’s like a Whitman’s chocolate assortment of this site’s usual habits, so here’s the map that lets you avoid that one weird cream candy that makes you scrunch up in the face. While I’m at it, all prints on the site are on sale until the end of the month! all 8 x 10/ 8.5 x 11 on the site are now $4! 11×17 inch prints are $8! That’s the main part of the update. Some small preview additions to the Vs. Horror pt. 2 pixel print, an unfinished promo video and a thank you message are behind the cut. So, if you don’t read that, I’ll put an extra “Thank you” here to let you know that you’re appreciated! 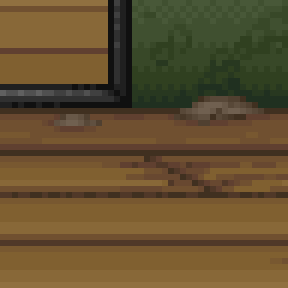 Just a bit of pixel art to hold you over until next week! 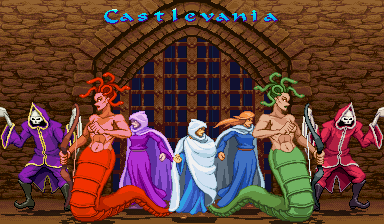 The sprites in this print will have a slightly different shading style and won’t stick so closely to the 16-color limit of older sprites. Don’t expect to see those exact sprites added to the sprite galleries or generators, at least not for a long time after the print debuts. 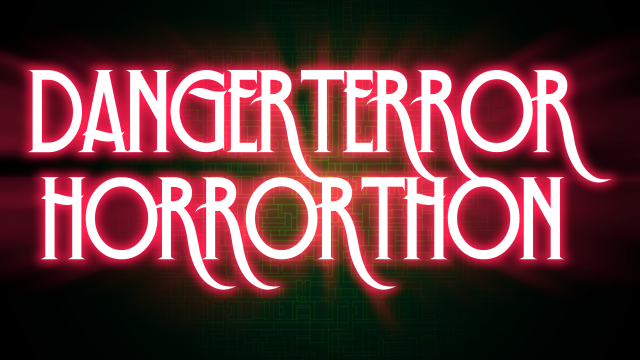 Do expect to see an update with things being added to the galleries and image generators next week, though. Hold tight until then! 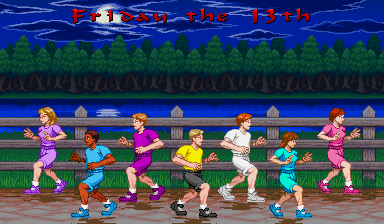 Tags: Friday the 13th, Horror vs.
They’re in the Movie-related custom sprite gallery and the main GFX Generator. I added a few more colors to their palettes, leading to a better 1958 Crystal Lake uniforms. You have two weeks to make your arrangements. Spend them wisely. 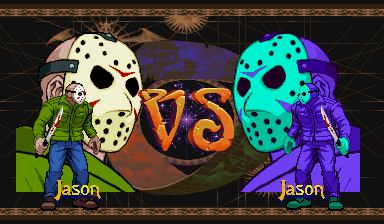 Destroy Jason… if you can! 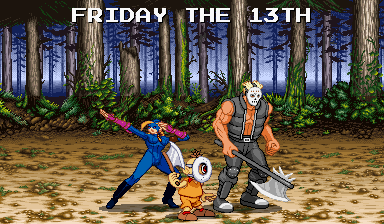 2014 only has one Friday the 13th, so here’s an update with some dangerous masked characters who like to work with sharp objects without being an annoying Spanish ninja. Jason got a sprite and mini-logo in a similar update that hit last December, so it’s time to give him a bit more this time. Other characters wearing goalie masks (or masks similar to them) also get a bit of attention today. 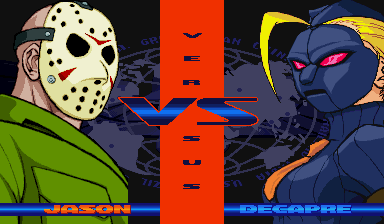 – Jason Voorhees: Street Fighter Alpha (Zero) 3 Vs. portrait and namegfx, Friday the 13th (LJN box) mini-logo. 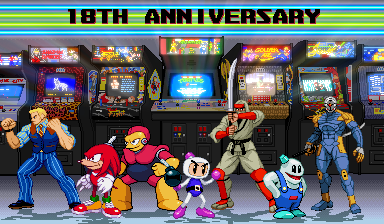 – Rick Taylor: Wanpaku Graffiti-inspired sprite and SFA 3 portrait (edited from Jason’s) added. 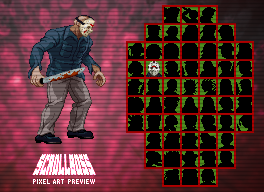 – Crime Fighters – Enemies: Boss 2 (the goalie-masked enemy) sprite added. 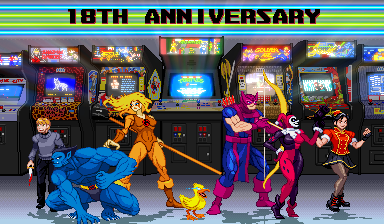 – Juli, Juni, and the Dolls: Decapre gets some sprite edits and SFA3 Vs. screen portraits while Juli and Juni get a few more sprites. 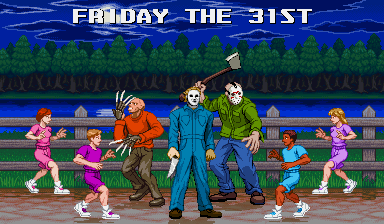 By the way, Friday the 13th for the NES, Splatterhouse: Wanpaku Graffiti for the Famicom, and Crime Fighters all debuted in 1989, so this update is also part of the Revenge of 1989. See how that all worked out? That rarely happens here, so enjoy it while you can! 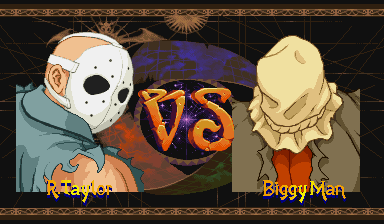 Edit: Today’s Illmosis update has the lineart for Jason’s SFa3 portrait along with a Black Widow (Marvel) picture! My big plans for the Halloween update were cut short by commission work. One of the sprites that you’d have seen in October would have been Jason Voorhees, inspired by the fact that NECA went crazy and made a SDCC exclusive glow-in-the-dark figure colored like the NES sprite. 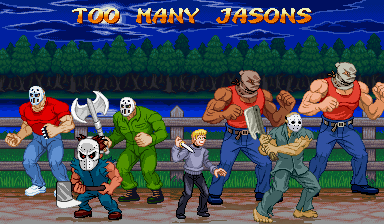 The weird part is that someone e-mailed me to ask if I had a Jason sprite without knowing I’d planned to do one. Unfortunately, I ran out of time, so I didn’t do it. 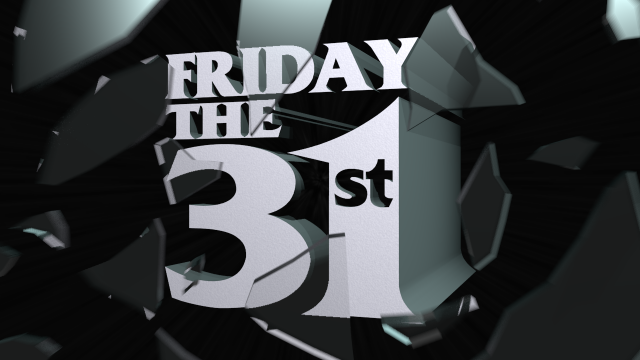 Then I decided to check and see if there was a Friday the 13th before the year was over and, sure enough, there is. So instead of just having Jason show up on Halloween, he’s here on his own special day. If that wasn’t enough, I’ve got new sprites of other hockey mask-wearing characters, including a new Rick Taylor sprite. This is Splatterhouse’s 25th anniversary year, so things just worked out just right. 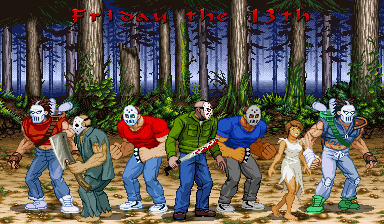 Custom Sprites – Splatterhouse’s Rick and Jen were added to the Namco page, Jason was added to the new Movie-related gallery, Casey was added to the TMNT page and that hockey mask guy from Ninja Gaiden was added to the Tecmo page. The U.S. Playstation store has quite a few Capcom games and items on sale on the cheap tip. The Dungeons and Dragons compilation, Marvel vs. Capcom 2 and Marvel vs. Capcom Origins are $7.49, $3.49 if you have Playstation Plus. Spelunky has the same $3.49/$7.49 price scheme, too. The PS3 and Vita versions of Dragon’s Crown, my favorite game of the year, is on sale for $29.99, too. Jump on that while the gettin’ good. EDIT: News hit this weekend that Capcom will be de-listing Marvel vs. Capcom 2 and all MvsC3 and Ultimate MvsC3 items (DLC) from PSN and X-Box live very soon. You only have until the next PSN Store update to get those things and Live users have a bit longer. Read about it on Capcom-Unity. Good Old Games (gog.com), home of non-DRM computer gaming, has a gigantic sale going on that I’m not even going to try and list. You just need to check it out A.S.A.P. if you’re interested.